Let Maria guide you through different everyday situations with your kids and let parenting become a spiritual day to day practise for you. 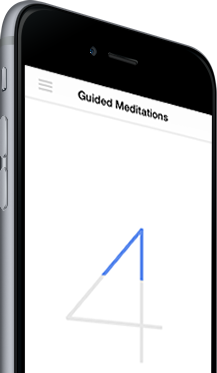 We have over forty guided meditations and tips and are constantly adding more. The Mindful Parenting app has been reduced to its essence, so you can focuse on the now. 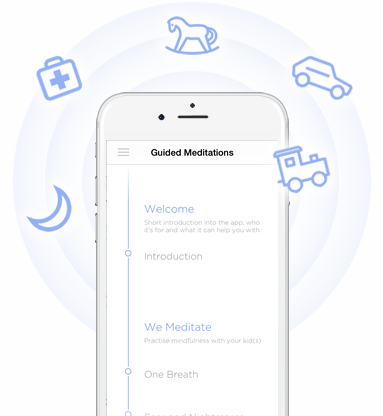 Mindful Parenting App offers you several ways to connect to the present moment, with a nonjudgemental mind and an open heart. Our kids are often our greatest teachers. There are many opportunities during a day to make peace with the now, cause things aren`t always working out as we expected them to. But if we guide our kids from a place of clarity, confidence and love and not just through words, we become a living example for them. We offer numerous guided meditations that can support you in all kinds of situations. And if you'd like to meditate at a late hour, enable night mode and the app will go easy on your eyes. Mindful Parenting offers free and paid meditation packages. Apart from the free offers, we currently feature packages with the titles: I Meditate, Shorties, SOS, Time To Pause, Sleep Baby Sleep. 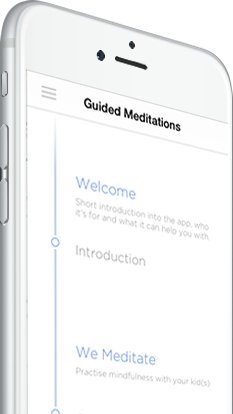 With a subscription to Mindful Parenting - available on both iPhone and Android - you'll be able to download all current and future meditations for the duration of your subscription. The proceeds of every tenth 1-year subscription will be donated to the charity 'Doctors without Borders'. The Mindful Parenting app accompanies you on both the iPhone and on Android devices - and always leaves a good impression. Subscribe to our newsletter, if you want to be notified about updates to the app. We only send out a few emails a year. Yay! You've been added to our mailing list. This app is dedicated to my daughter N.